"The songs blow furiously to the attack, time to catch your breath remains during the cleverly reduced passages, which only additionally provide the forward pushing bars with penetrating power … intensive enjoyment … close to the highest score... hell yeah, damn strong!" "… DESDEMONIA veiled a big blow and it is successful!" "… angry ... mix of modern Thrash, Groove and Death Metal. And really good. Neat production with neatly roaring guitars, good riffs and songs." "... unfussy Death Metal, who is not embarrassed by melodic spreaders ... DESDEMONIA set accents in the right places ..."
"… full of aggressive and vicious tracks, combined with catchy riffing and spectacular leads … I suppose fans of traditional and Nineties Death Metal will adore the band. Influenced by traditional American and European pioneers in the genre, DESDEMONIA delivers an album that will stands its ground forever and a day. A very strong release that might end in the year list …"
"… giant frontman Tom Dosser … a bit of modern and groovy Death Metal plus cold and evil melodies from Black Metal … just piercing riffs … can appeal to fans of At The Gates and In Flames … pretty cool … everything is gathered at a high standard … I think that there are many people who like it." "… a lesson in linking heaviness and commerciality ... mercilessly catchy ... every single song grabs ... with strong melodies and real hooks, the choruses stay well ... a disc full of hits …"
"The Luxembourgers place such top-notch ideas over and over again, like many infernal solos of the comprehensible kind. The nine tracks are massive Death Metal with thrashy edge and high sound density, from which one enjoys any time an ice-cold bass drum and a reverberating popping snare." "… one of the most classic bands … Melodic Death Metal … sometimes remind on Amon Amarth but not so attached to a specific formula as the Swedes … DESDEMONIA infect us with their groove and with its ability to endow themes of a life that vitiates in a short time." "'Anguish' lives mainly from the outstanding guitar work of David Wagner and Marc Dosser, who bring in addition to official Thrash riffs of the top class also a lot of groove in the tracks. This makes songs like 'Reaper Of Souls', the tough 'Cross The Line' or 'Revenge' in addition to all aggressiveness in a certain sense 'catchy', that is, they go straight into the ear and hooked there ... boredom definitely can not be found." "… immediately shoots out of the membranes with a guitar-riff-front á la Testament, before nasty Black Metallic guitars milling off ... at all it's the six-string that creates a high density of cool songs with cleverly thought-out riffs and harmonies ... the band does a lot of things right not to sink in the swamp of several publications." 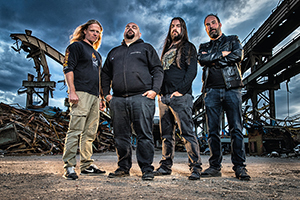 "… essentially breaking the divide between straight-line Death Metal and melodic riffing that is more Amon Amarth than classic In Flames … the best Death Metal band from Luxembourg? Probably." "Hard, melodic riffing, throaty gloom-singing, finest guitar work and a drum thunderstorm that blows the mane back ... sound: Bolt Thrower and Dissection ... a real house number ... that leaves no eye dry ... DESDEMONIA will blow you away!" "Strong melodies, fat riffs and choruses that stay in the ear ... the nine songs run through, as if made from one piece ... no hangers or fillers ... just forty-five minutes, which can blow one's ears free ... one neckbreaker chasing the other one ... whoever likes Death Metal mixed with groove, thrash and melody, can grab here without hesitation." "DESDEMONIA understand their trade and their newest output 'Anguish' is a great example of well thought out Death Metal compositions with solid musicianship and a big sounding production and I am sure 'Anguish' will finds its’ way to fans of Melodic Death Metal worldwide." "… if you are related to Thrash / Death with loads of groove and adrenaline, this record should not be missing in your collection. At the top …"
"… what caught my eye on this was the name of Fredrick Nordström (At the Gates, Arch Enemy, Hammerfall, Opeth, etc) in mixing and mastering. The genre is more than just Death Metal (Metal Encyclopedia) and most of the time I would categorize this on Melodic Death, but with some quite technical parts and groove … reasonable good. Guitars and vocals on some songs, like 'Anguish', have notorious Amon Amarth influences (kudos). A good album, deserved to play several times." "This is some cool heavy stuff. In a way it does remind me Amon Amarth. And since I am a huge Amon Amarth fan this appeals to me." "... We should be grateful to bands like DESDEMONIA ... dedication, passion and sacrifice ... 'Anguish' presents some of the best riffs of the genre heard in this first part of 2018 ..."
"Hitting the Melodic Death Metal ground near Amon Amarth’s heroic tremolo riffing, but with plenty of Michael Amott’s larger-than-life classic riffs thrown in, the likes of the title track and opener 'Reaper Of Souls' are drenched with irresistible power." "... DESDEMONIA are still a household name when it comes to Melodic Death Metal, and 'Anguish' is another milestone in the band’s history ..."
"… the fans’ wait is without a doubt being rewarded and the quartet delivers another strong entry into their catalogue …"
"… in the finest, musically powerful manner ... razor-sharp riffs ... true fireworks ... DESDEMONIA gave me one neck-breaker after another, in the finest Melodic Death Metal style, the six-stringers offer true riff infernos ... congratulations to the band …"
"DESDEMONIA are living proof that persistence pays off … classic Melodic Death Metal, mixing guttural roars and blast beats with duelling Iron Maiden-esque guitar work … impressive stuff. If you’re the sort of person that believes Arch Enemy peaked at ‘Wages Of Sin’ and singing ruined Swedish Death Metal, DESDEMONIA are exactly the band for you." "... you feel the message that the band delivers ... I have not found an album title for quite some time that fits so well with the musical idea ... DESDEMONIA fought hard to stand out from the crowd with 'Anguish' … a hell of a good album." On November, 16th 2018 the band released their new Music Video for the title track of the current album "Anguish". "As you can probably tell by the title ‚Anguish‘, the song deals with fears that everyone of us has. We all have to deal with our inner demons, our deepest fears and negative thoughts on a regular basis, even if you’re a positive thinking person. They emerge from the deepest, darkest inner-self and can be abstract and mysterious. Angst is palpable and related to real-life situations, like survival in a fast-changing world, where known structures are quickly disappearing. Fears can also result from death. Even though it's omnipresent in all media these days, people have unlearned how to deal with it in a reasonable way. We fear the lack of life that it induces more than death itself. Moreover, the lyrics were written during a pretty short period of time, during which we had a lot to deal with … that also had a great impact on the theme of the whole album." 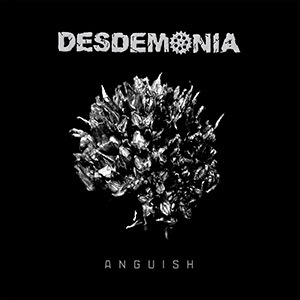 After years of efforts and experiences, DESDEMONIA's fourth longplayer "Anguish" have been released in March 2018 via Mighty Music. On "Anguish", the quartet yet again combine catchiness with raw, vicious riffage and grim weighty vocals, while more quiet and melodic moments give their music the right dynamics. The aggressive and gloomy atmosphere is being underlined by lyrics that explore the fears and dark thoughts of the human mind. This contemporary issue being universal, all four band members shared their thoughts and contributed to the lyrics. Looking for a massive sound, the band got in touch with legendary Swedish producer Fredrik Nordström (At The Gates, In Flames, Arch Enemy, Opeth, Dimmu Borgir, Hammerfall, Architects and many more). Master Nordström mixed and mastered the 9 new songs at his Master Studio Fredman in Gothenburg, Sweden and gave the album the aggressive yet clear sound it deserves. Official release date for "Anguish": March 23rd, 2018. Influenced by the early and mid-nineties American and European Death Metal scene, DESDEMONIA's sound can be described as a mix of catchy stuff like Amon Amarth, straight forward At The Gates-like beats and more old school oriented melodies and groove in the vein of Dissection or Bolt Thrower. However, DESDEMONIA never try to keep pace with changing trends but cut their own path instead. 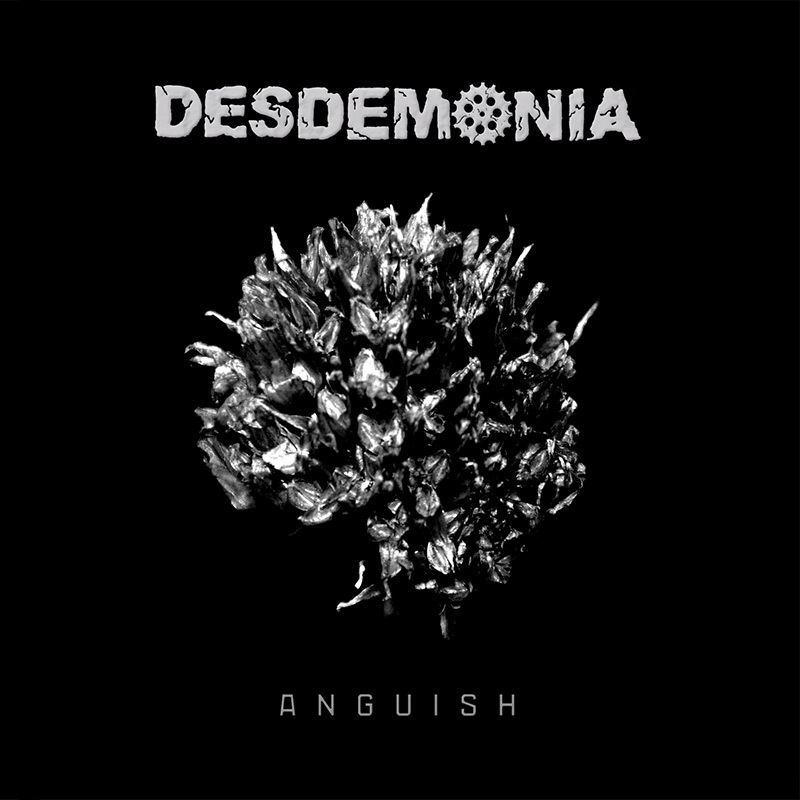 DESDEMONIA are excited to share their powerful album "Anguish" with old and new fans and to conquer new territories; determined to put their mark on the Death Metal scene.